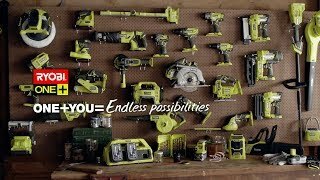 As part of the RYOBI ONE+™ Range the 18V Ryobi Reciprocating Saw is compatible with all ONE+ Batteries. 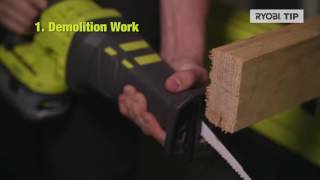 It's innovative anti-vibe technology reduces vibrations and increases user comfort when cutting plywood, metal, or plastic pipes. A variable speed trigger gives the user ultimate control, while the tool-free blade clamp makes tool changes quick and easy. Powered by an 18V battery (not supplied), the Ryobi Reciprocating Saw is a versatile, strong performer worthy of a position in any toolkit.